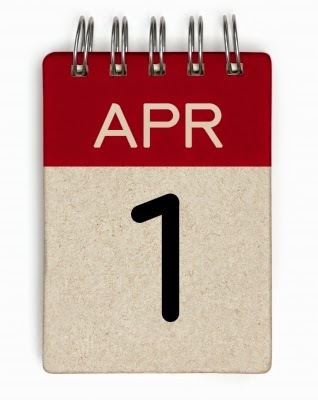 March has rushed by, and tomorrow is the first day of a new month. Some of you realize it's April Fools Day, others haven't given it a thought. I'd like to think I've outgrown the practice of tricks and pranks on that day, but I have to say I've enjoyed reading about some of the hoaxes perpetrated on April 1. I won't list all the ones I've found--they might give some of you ideas. My question to you is this: Tomorrow do you plan to pull some sort of "trick" or do you think it's too juvenile? I'll be interested in reading your comments on this. Come back Friday for a more serious post, this one about the writing life. Tweet with a single click: "Are April Fools tricks funny or juvenile? What do you think?" Click here to tweet. 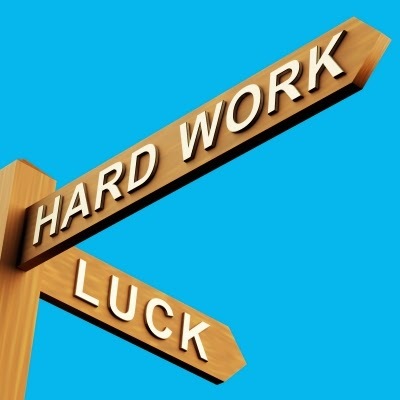 Getting a book published, whether fiction or non-fiction, demands a combination of a great product and...let's face it...the right circumstances. My manuscript for The Tender Scar: Life After The Death Of A Spouse hit editor Dennis Hillman's desk at Kregel Publications at the right time and under the right circumstances, and he accepted it for publication. Dennis could identify with my situation in the death of a spouse. He'd gone to a seminary in the city where I lived and when we spoke we discovered that connection. I got a contract, but that was nothing but God's timing (or coincidence, if you prefer to look at it that way). I gained representation from my agent the same way. I'd come to know Rachelle Gardner when she was an editor (and turned down my submission--rightly so, by the way). After she became an agent, I followed her blog. I'd already given up any hope of being a writer, but through a series of events that could only be "a God thing" (as my friend, Rupert Robbins would say) she read some of my work, liked it, and thus began a relationship that has lasted for years (and ten novels either published or under contract). How do we increase our chances of such good fortune? Of course, we have to produce the best book we can. That's the sine qua non of seeking publication. After that, we keep trying, all the while remembering our reason for doing so. If we're in it for the money or fame, we're probably in the wrong profession anyway. I agree with what I've read so many times: A writer is someone who "can't not write." And a Christian writer has a very specific reason for writing. Let's not forget it. 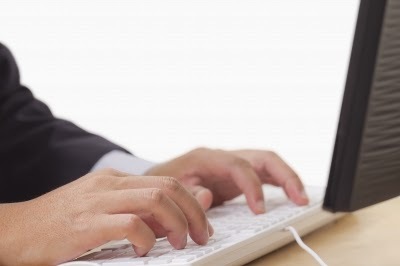 Tweet with a single click: "Is publication just a function of right place, right time?" Click here to tweet. I've been retired from the active practice of medicine for over ten years now, although I still stay current with the field. "Oh, you're retired," my friends say (or think). "You must have a lot of free time." 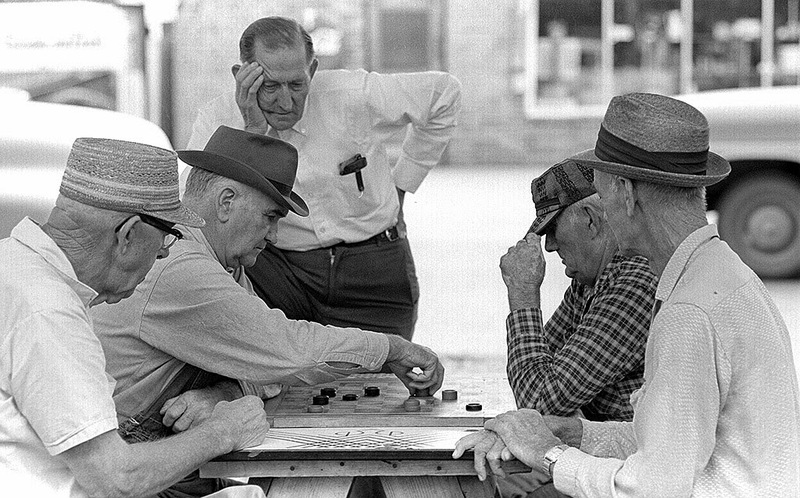 We'll now pause briefly for readers who have not yet retired to heave a jealous sigh and the retired folks to smother a laugh. I used to smile when I'd hear someone say, "I'm so busy after retirement that I don't know how I did anything while I was working." Now, it's more like pausing to nod sadly. It's true. My plans were that, upon retirement, I'd play golf, read, and do some traveling. That changed, of course, when Cynthia, my wife of forty years, passed away about the time we'd both planned to retire. That eventually led me to write my book, The Tender Scar: Life After The Death Of A Spouse, which in turn resulted in my trying my hand at writing novels. Fatal Trauma, which releases on May 19, will be my eighth novel of medical suspense. Oh, and my self-published novella, Rx Murder, will be available on Amazon any day now (watch this space for more news on that). I try to get in a round of golf with a long-time friend once a week if the weather cooperates (which it hasn't recently). As for travel, I'll quote Nolan Ryan. "The problem with using those frequent flyer miles is that to do it you've got to get on another airplane." So, mainly, I write. 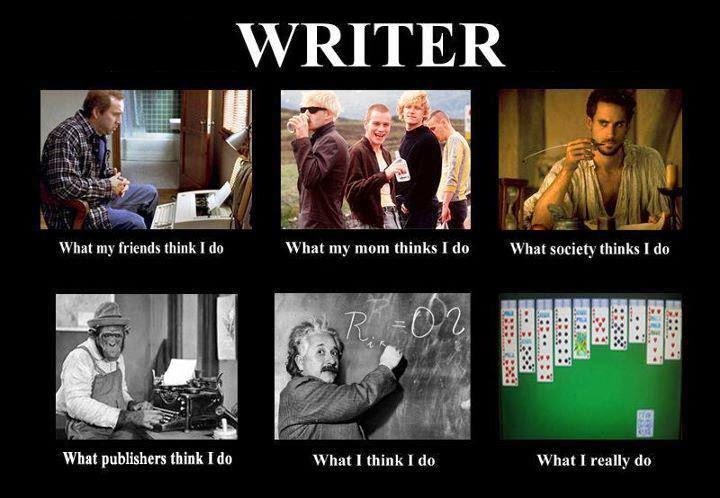 What does a writer do? Here's a picture that has appeared numerous times on Facebook--if I knew the source I'd give attribution--that explains the writing process better than anything I could. Now, what occupies your time? Let me know when you leave a comment. Tweet with a single click: "What occupies your time?" Click here to tweet. One of my readers, Lauri, asks if I enjoy working to improve my craft, or if I look upon it as a distasteful chore. That's a great question, and the answer is, "yes--to both parts." I like it when someone says my current novel is better than any of my others. But I don't particularly enjoy sitting in a class or reading a book on technique to improve what I do. I don't relish rewriting large chunks of the novel on which I've worked long hours. Be that as it may, it's part of the process. Look at it this way. I enjoy golf. But if I'm to take the boomerang out of the trajectory of my drives or hit putts that don't scoot ten feet past the hole, I'm going to have to spend some time on the driving range and putting green, making adjustments to my stroke to achieve what I want. The same goes for writing. Every writer knows that first and foremost we must produce the best possible work. That means polishing, revising, sometimes cutting and replacing large chunks of our work-in-progress until we're satisfied. Before we get to this point, we have to master the fundamentals of character development, point of view, vocabulary, and many other things. Once we have those down so they're second nature, we're ready to proceed. Unfortunately, some writers don't go very far down this path. Most of us want to get better with each book, and that's why we never feel as though we've "arrived." Although no writer ever achieves perfection, we should always seek to improve our craft. We may not like it, any more than I like going to the practice range for golf, but it goes with the territory. There are some writers--best-selling writers--who seem content to stay right where they are, churning out work that corresponds to an established template. They don't appear to have any real motivation to get even better at their craft. But they're in the minority. So, Lauri, I don't necessarily enjoy continually working to improve my craft, but I do it because that is part of what being a writer means. Click with a single tweet: "Writers, do you enjoy trying to improve your craft?" Click here to tweet. Not sure about how they do it where you live, but in the Dallas area St. Patrick's Day is celebrated on the Saturday closest to March 17 by a huge parade (I mean huuuuge). There's a good bit of alcohol consumed, lots of food and games, and inhibitions seem to be thrown to the wind. This past Saturday was no exception. 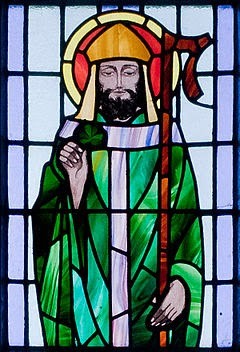 Originally, the day was set aside to commemorate Saint Patrick and the arrival of Christianity in Ireland, as well as celebrating the culture and heritage of the Irish in general. I won't get into the green vs. orange (Catholic vs. Protestant) thing, except to say that wearing green on this day is traditional to recognize the proud traditions of the Irish. Since my great grandmother's name was Tinney O'Quinn, I'm happy to acknowledge my Irish heritage...even if I don't celebrate the day with alcohol. 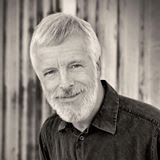 Today I'm guest blogging with writer Chris Henderson. I hope you'll click here to read that interview. Now to unfinished business: A week ago I suggested that readers of this blog try their hand at writing a clerihew. For those too lazy to click the link, I'll remind you that a clerihew is a whimsical four-line poem, the first line of which includes the name of a person. I had three responses! In one, Linda laughed (hopefully with me, not at my own clerihew), Patricia joined in (but forgot to include her name in the first line), and Ben (whose comment showed up in my 'in' box but never made it to the blog) wrote a true clerihew, tortured though it might be : ). I guess Ben is the winner, and I'll contact him about the prize. Meanwhile, I hope to see you back here Friday, when we talk more about the writing life and I answer a reader question. In May, my next full-length medical thriller, Fatal Trauma, will release. It's been a year since my last book, Critical Condition, appeared. In the meantime, I've written and edited three novels, all of which will be published by Abingdon, starting with Fatal Trauma. In the meantime, I decided to dip my toes into the self-publishing waters. A number of authors before me have gone this route, and although it may not fit my personality and desires, I figured release of a short novella would be appropriate in the interim. Of course, to do that required writing it, but the work didn't stop there. I read and revised the work several times, as I did with all my other novels. Then it was edited, since two heads and two pair of eyes are always best in writing projects. But I also had to arrange for (and pay for) a cover design. Dineen Miller did a nice job in putting together one that captured the tone of my prior books. 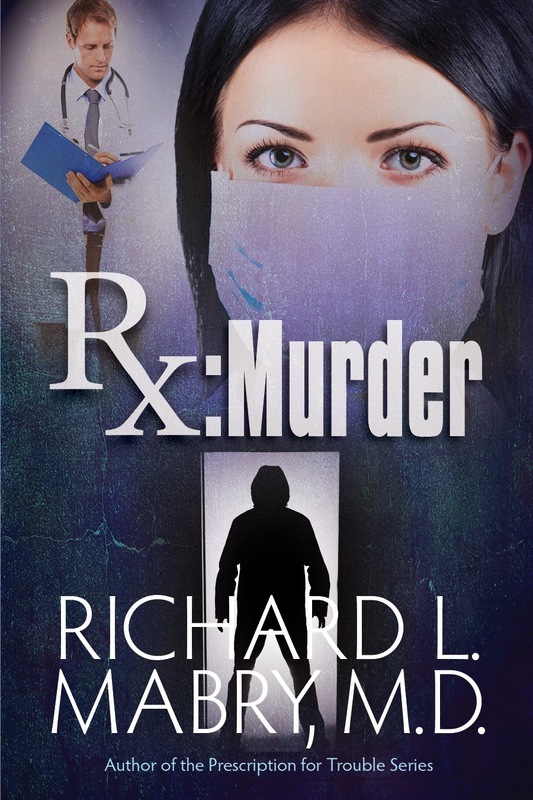 As part of the cover decision, I had to make another--should Rx Murder (the title I'd chosen) be made available only in e-book format or in print form as well? I decided to offer both, since some of my readers (and me, truth be told) prefer a printed version, even if it costs a bit more. The book itself had to be translated into the proper language for an e-reader. I found there are several options here, and they vary with the type of e-reader chosen. By this time, I was wondering why there wasn't a universal language for this stuff. I suppose that would be too simple. 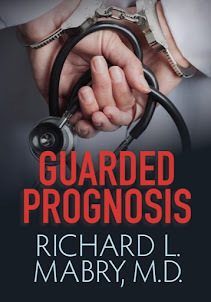 Then came other decisions, the process of proof-reading and requesting changes, and numerous other steps that I'd never considered. But now I'm almost there. I'll be announcing the release of Rx Murder soon, and because it's a short novella its price will be, I think, quite reasonable. Oh, that's another decision I had to make--price. But the good news is that I control it. If you want to be among the first to know about the release of the novella, I'd suggest you sign up to receive my newsletter (see the right side of this page) since this group will get the news first. So, that's some of what I've learned. Stay tuned, as we are within sight of release day. And thanks for your interest. "What," you may be asking, "is a Clerihew?" Glad you asked. According to Wikipedia, "A clerihew is a whimsical, four-line biographical poem invented by Edmund Clerihew Bentley. The first line is the name of the poem's subject, usually a famous person put in an absurd light. The rhyme scheme is AABB, and the rhymes are often forced." That's Mr. Bentley in the picture, in case you were wondering. And someone on one of the writers' loops of which I'm a member recently decided it would be fun for each of us to write a clerihew about ourselves. At first, I simply hung back and read what others wrote, but eventually I gave in. Here's what I composed. Tries to make his novels tighter. When writers got paid by the word. Now it's your turn. Leave your clerihew in the comments section, along with your email address (separate it with spaces to foil web crawlers--like this: Dr R L Mabry at yahoo dot com). The author of the best one will have his/her choice among three of my latest novels. I'll choose a winner and post the name in a week. Tweet with a single click. "What is a clerihew, and what can I win by writing one?" Click here to tweet. Author and independent editor C. S. Lakin is doing a special series on her blog. 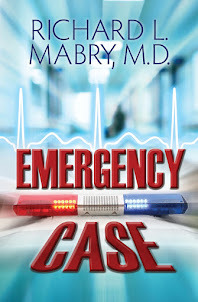 Here's how she describes it: We’re starting a fun series covering a number of weeks featuring guest posts from professionals who work in medical, police investigation, and legal arenas in order to help writers get “real” in their fiction. Take a peek inside their worlds and ask questions! 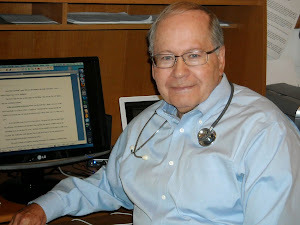 I'm privileged to have my post on medical details in writing as this week's feature. I hope you'll click here to read it. A comment is always appreciated, either at Suzanne's site or here. Thanks. I'll see you tomorrow, when I have a very special surprise and a chance to win a signed copy of one of my books. Know what you’re doing. Study all you can about the writing craft. Read books about story structure, writing a novel, character development. I’ve even read books on screenplay writing and found them helpful. Be able to write good English. There is no excuse for bad spelling, poor grammar, faulty sentence structure and so on. I will grant that writers, especially fiction writers, use all kinds of devices and artistic license with words to tell their stories, but they know what they’re doing and none of it is by accident. You need to know what the rules are before you can start breaking them. Write, every day if you can. Start small, with short stories, essays on any subject you wish, a journal just for yourself, blogs like this one, and grow from there. Writing is like any other skill: you have to practice at it, so turn off the television and go to work. If you plan to write fiction, read a lot of fiction to get a sense of how fiction should sound, flow, hold your attention, evoke emotions. Always look for drama and how the author creates it. Develop an ear for dialogue. It’s surprising to me how many writing students can carry on conversation and hear a conversation but they still can’t write it the way it really sounds. If you must, read your dialogue out loud to yourself, act it out, and keep at it until it sounds genuine. Try to write for your reader and not just for yourself. Some would-be writers are still on some kind of artistic ego trip, writing unintelligible glop that may satisfy their own impulses but which no one else can understand. That’s fine if you want to starve. 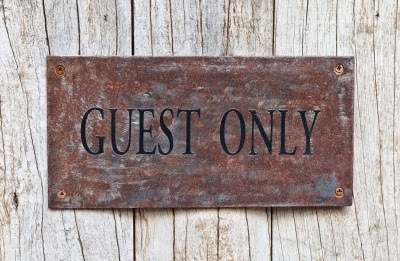 If you want to get paid for what you do, have respect and regard for your customer the reader. Quit dreaming and get to work. The only way to get a project finished is to get your rear end into that chair and your hands on the keyboard and keep them there on a regular, disciplined basis until you’ve come up with something. Get some folks you trust and who can be kindly and lovingly honest to read your stuff and give you feedback. Hey, even professional writers have editors who pick apart their stuff, so get used to it. If you're too insecure to get some helpful critiquing you're too insecure to write. You ought to see my manuscripts when I get them back from the editor - reminds me of high school. Expect success to take a while. Your first one or two or three projects may not get published, but experience is necessary and you have to pay your dues. If you have the talent to begin with you've nothing to worry about; it's going to click eventually. Another funny thing: you just never know what the market is going to like. A book can be technically correct, have all the pieces in place, even be a good read as reads go, but for some reason the reading public is looking for something else. Go ahead and pray for the Lord's timing; pray that your topic, your style, your "brand" is the thing that's going to be hot. Either that, or be a copycat and hitch a ride on somebody else's idea (something I don't admire, but you see it all the time in books, movies, television; the old bandwagon mentality). All this to say, if your book doesn't do well, it may not be due to a lack of good work on your part. Mark Twain, Herman Melville, Ernest Hemingway, even Steven Spielberg (right, film, but the same principle) had works that were great and successful and works that fell behind. Oh, and did I mention myself? Oh, yeah. Same here. It also wouldn't be a bad idea to acquaint yourself with all the new avenues for getting published these days, especially via the internet. If your work is good and you choose the right pathways, you might get a good start with your material without ever going through a publisher. Weird to an old schooler like me, but true. Thanks for sharing, Frank. If you want to reacquaint yourself with his work and see what's coming down the pike, you might check here. Tweet with a single click: "Writing advice from writing legend Frank Peretti." To tweet, click here. 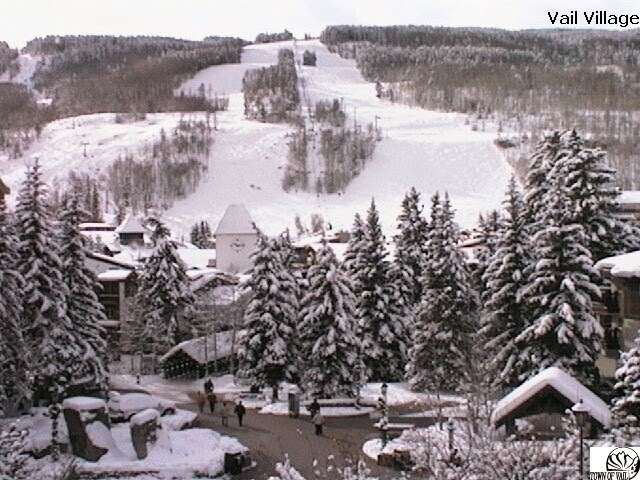 Kay and I have enjoyed the time we spent at places like Vail, Colorado (pictured at the left). As memory serves, no one was complaining about snow when we were in Vail or Aspen or Whistler, Canada. Why was it such a big deal when that kind of weather hit the Dallas area? The answer, I guess, lies in our expectations. When we went to a resort area like those I've named, we knew what to expect. More important, the people there knew what to expect. The cold weather and snow were not only normal conditions, their very presence made possible such activities as skiing and snowmobiling. Whereas, when the weather changed from mild and sunny to cold and threatening here in North Texas, one would think we were in for a two-week siege if you judged by the lines and bare shelves at grocery and hardware stores. Well, as I write this the weather people are predicting seventy degrees for the day it's due to post, but when I look out the window of my office I see snow and ice. I guess it's true. If you don't like the weather in Texas, just wait a minute. And probably by this summer, I'll be complaining about the heat. NOTE: Some of you may have remember Frank Peretti, author of numerous works of Christian fiction, including This Present Darkness. Frank is back, and I have his advice for writers and a link to his latest work here on Friday. Hope you'll come back to read it.